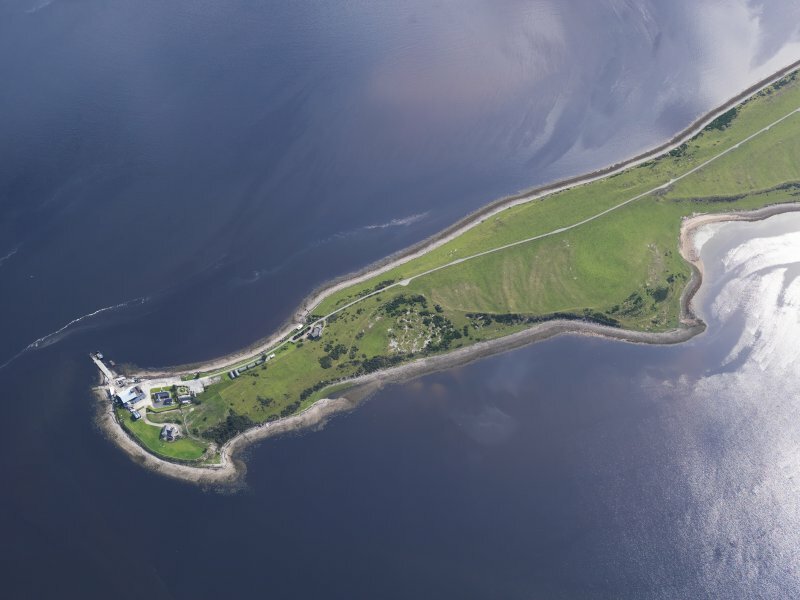 Oblique aerial view of the piers at Meikle Ferry, looking S.
General oblique aerial view of the Dornoch Firth Bridge, looking ENE. 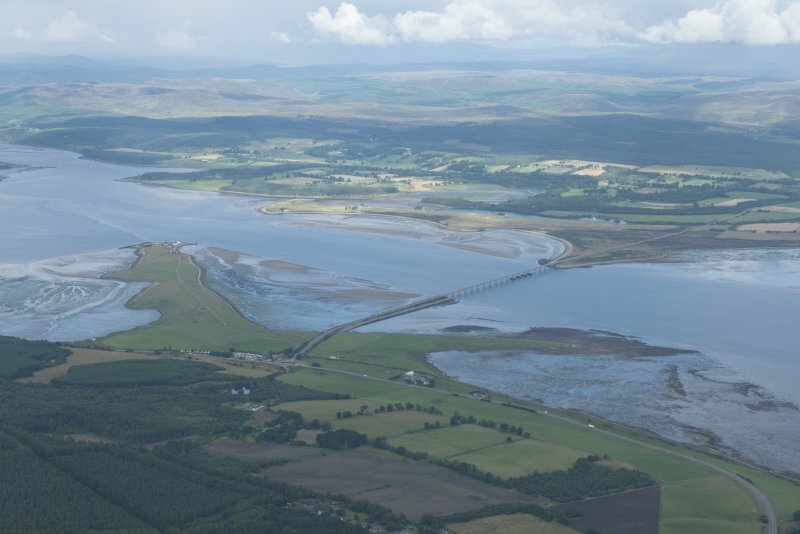 General oblique aerial view of the Dornoch Firth Bridge, looking NW. 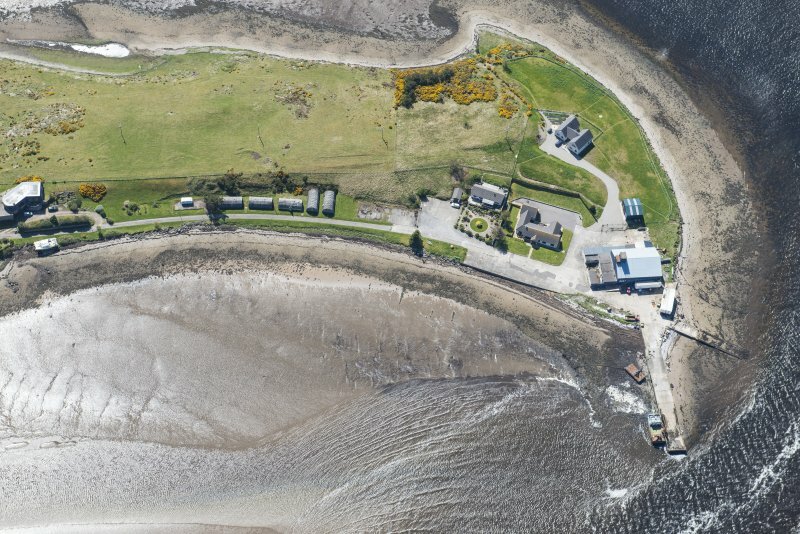 Oblique aerial view of Meikle Ferry, looking ENE. 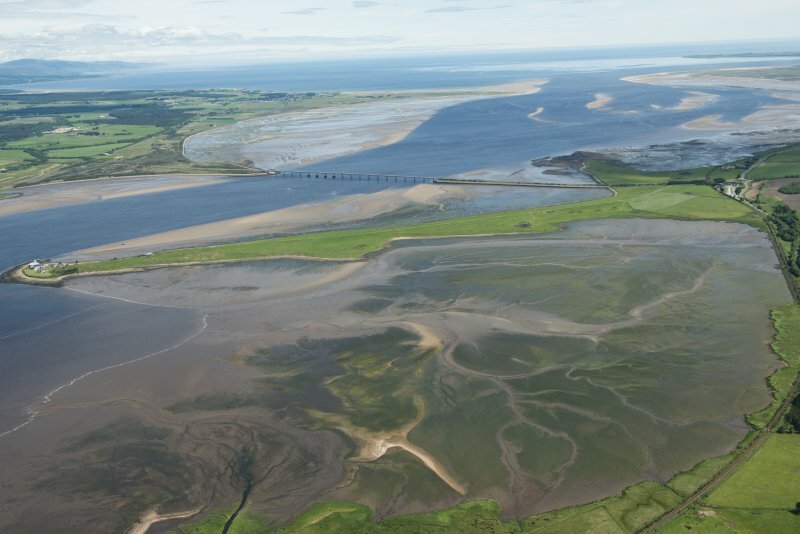 General oblique aerial view of the Dornoch Firth road bridge, looking SSE. 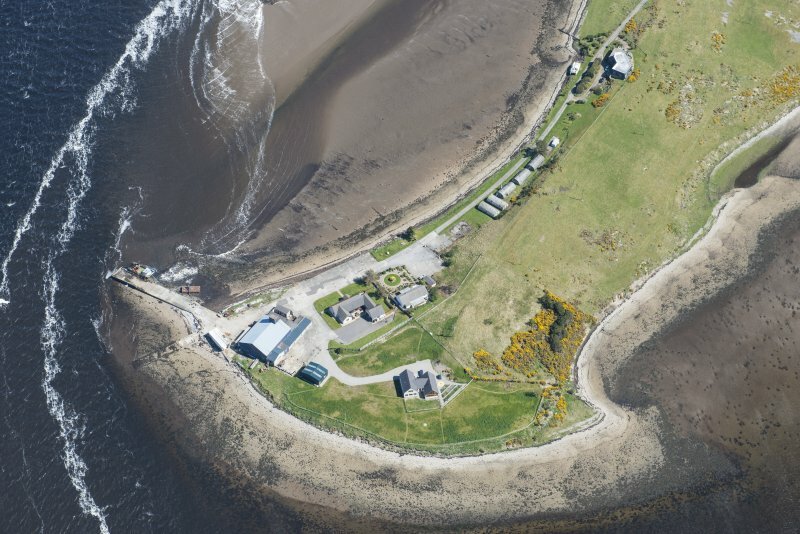 Oblique aerial view centred on the Ness of Portnaculter, looking to the NNW. OS (GIS) MasterMap, June 2009. 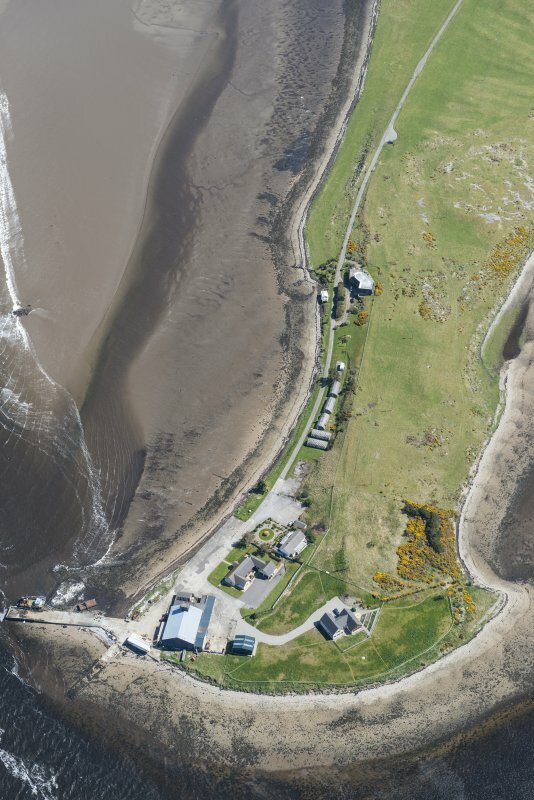 Formerly entered as Meikle Ferry, South West Pier at cited location NH 732 859. 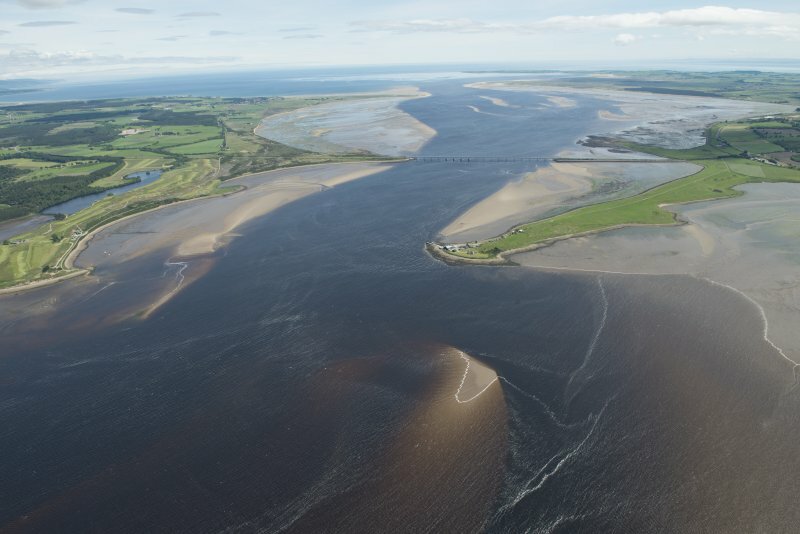 For Ferry, see also NH78NW 34. 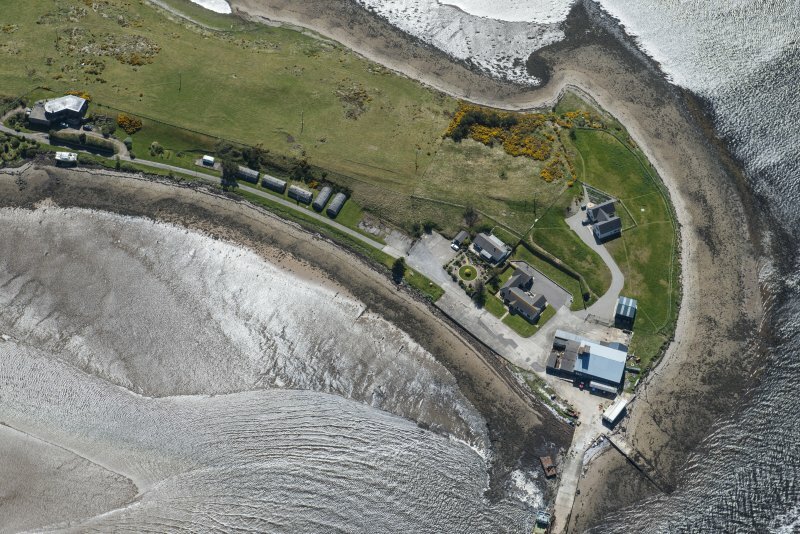 For corresponding pier on the N side of the Dornoch Firth, at Meikle Ferry or Ferrytown, see NJ78NW 28. 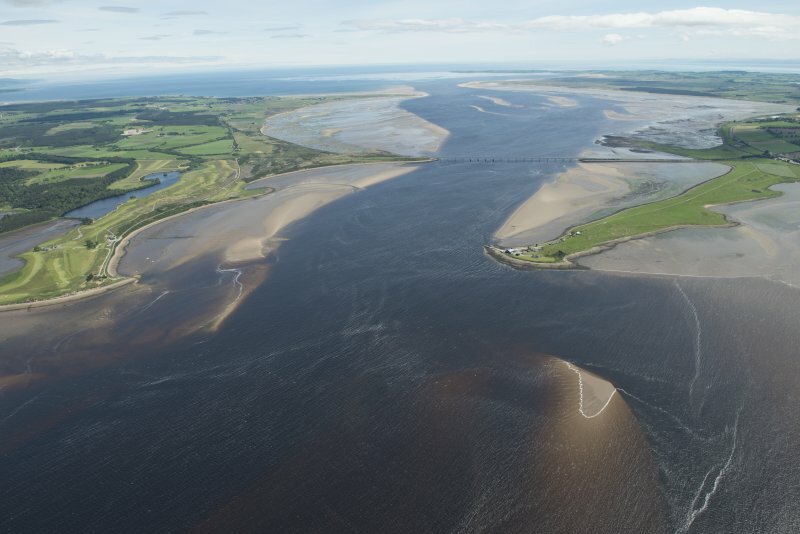 For East Pier (NH 73242 85931), see NH78NW 65. 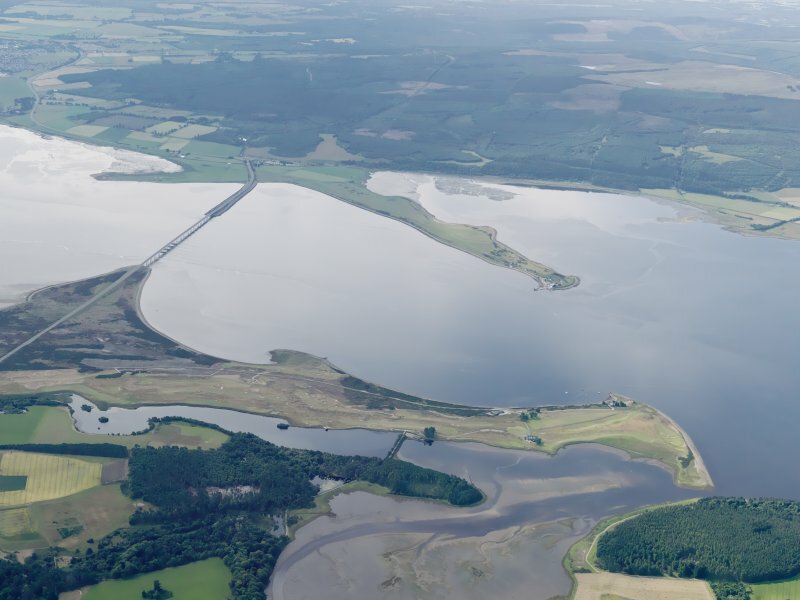 (Location cited as NH 732 859). 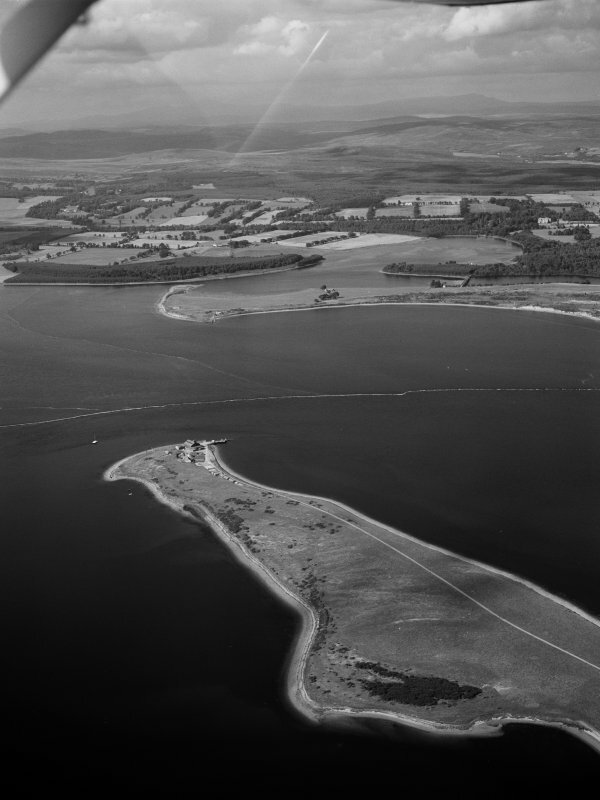 Pier, Meikle Ferry, early 19th century. 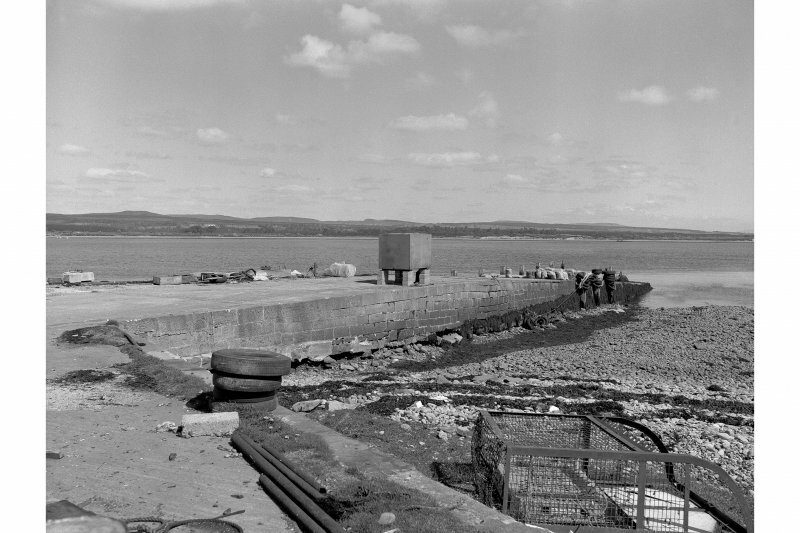 A ramped ferry pier of coursed-rubble construction. 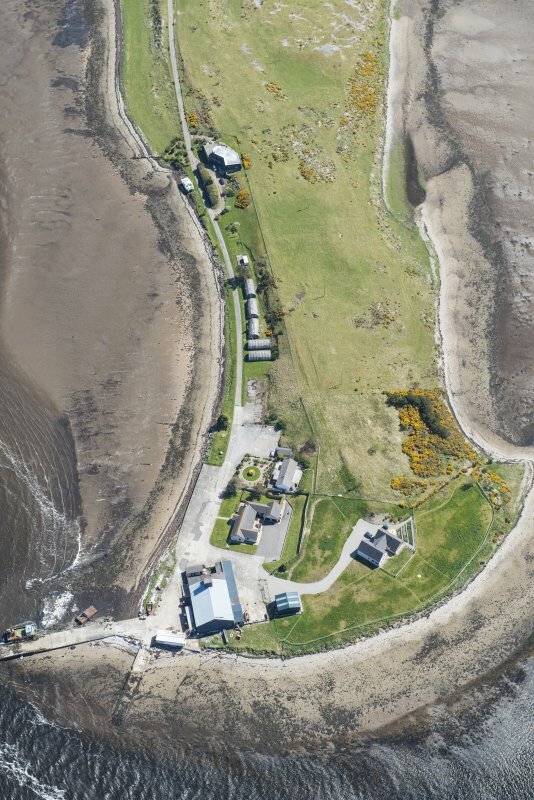 Now a private pier used by a fishery. 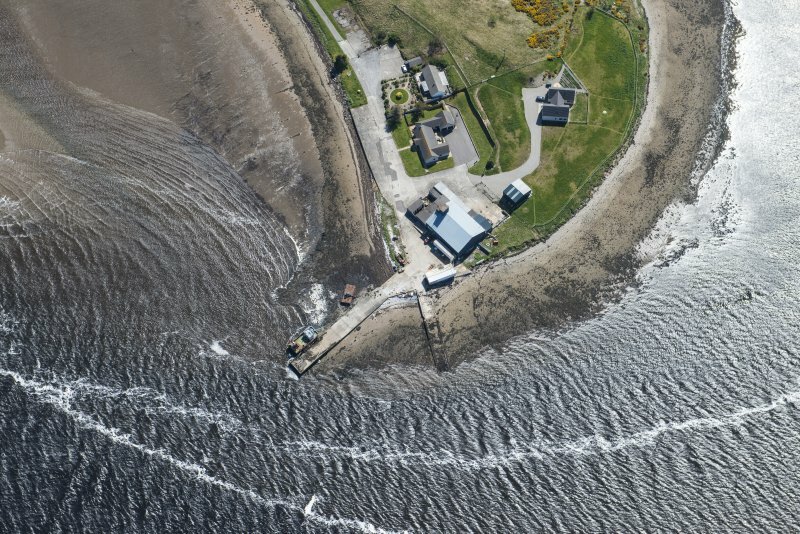 The pier associated with the south side of the former Meikle ferry crossing the Dornoch Firth.